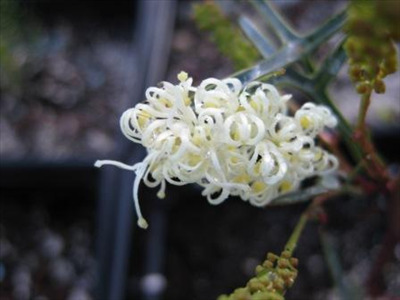 Beautiful lignotuberous shrub from Western Australia with attractive, though prickly, foliage and profuse creamy yellow flowers in spring. Very cold hardy. 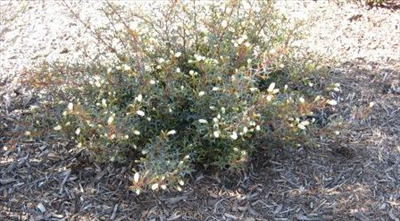 Excellent low barriers shrub, bird refuge and container plant.